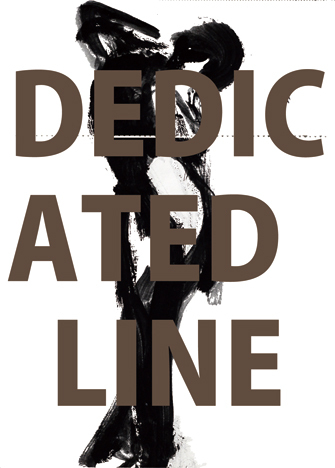 Hiroaki Suetsugu‘s solo exhibition “DEDICATED LINE” will start from June 1st to August 30th, at Cross Hotel Sapporo, as MACHINAKA ART-X_edition vol.16. This exhibition is “MACHINAKA ART-X_edition” which Cross Hotel Sapporo has been giving a series of art exhibition in collaboration with Clark Gallery+SHIFT. Machinaka Art project is the project which aims to fill the city with art and to create friendly environment for people to familiarize themselves with the art, with the participation of some galleries, artists and shops. He is one of artists who has energetically announced a conceptual art works in Tokyo and Sapporo, as based in Hokkaido. This is the opportunity to know and feel his strong feelings that have been put to works which looks abyss and serene. The opening reception will be held from 19:00 to 21:00 on June 5th, at “Meet Lounge” on the 2nd floor of Cross Hotel Sapporo. No reservation and free admission, please order one drink at least.